If you are a mom, come! We want all moms at Bloom! This includes the working mom, stay-at-home mom, new mom, older mom, mom-to-be. This is a time to grab your friends, your mom, your mother-in-law, your sister-in-law and join us! We will provide so many opportunities for growth and connection at Bloom, but it is up to you to truly get something out of it. Talk to someone new, listen with open hearts and minds. Come ready to be challenged to grow. And of course you will get a swag bag and possibly win a raffle prize! What if I have to come alone? That is wonderful! 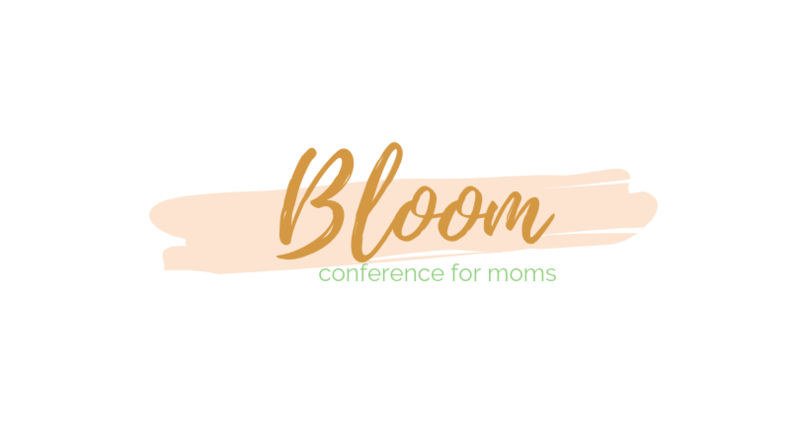 You will be in a room full of moms wanting to connect and talk! Be bold and brave and come! We will have volunteers at the conference mingling and chatting with you! No, this an event just for moms! If you have a baby under 3 months old, and need to have him/her there to feed, we completely understand and are more than welcome to bring your baby. However, otherwise this is a kid-free zone. We know that may mean you get childcare or make arrangements with your husband, but moms you are worth it! Does everyone get a swag bag? Yes, everyone who orders a ticket for Bloom gets a swag bag! The bags are full of great products! You do you! Wear what you are comfortable in! There is usually a mixture of dresses, jeans, shorts, and scrubs! Most definitely! This year we will be having a delicious brunch and other tasty treats! What is the schedule for the conference like? The schedule is currently being worked on for 2019! Unfortunately we cannot offer refunds for lost, stolen, damaged or unused tickets after purchase. Bring your ticket or have it ready on your phone when you arrive.